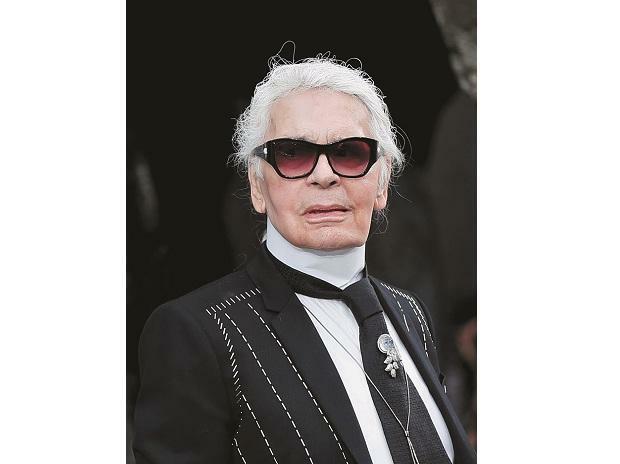 Fashion legend Karl Lagerfeld, the rockstar designer behind the rebirth of Chanel and Fendi, has died in Paris. He was 85. According to French magazine Closer, the German-born designer was not keeping well and breathed his last on Tuesday in a Paris hospital. The design supremo, who was equally popular for his personal style and was always photographed in his trademark white collared shirt, wide black tie, black sport coat, black glasses, fingerless black leather gloves and silver ponytail, leaves behind a lasting legacy. He is survived by his beloved cat, Choupette, who has its own Instagram handle. Lagerfeld's fashion career in high fashion started in the 1950s as Pierre Balmain's assistant. During his time with the popular label, the designer won top prize in the coats category at an International Wool Secretariat design competition with Yves Saint Laurent. In the 1970s, he began collaborating with Roman haute couture house Curiel, as well as Fendi, for which he served as a creative director up till now. He also gave the Italian brand its iconic 'F and reverse F' logo. In 1983, Lagerfeld began his most prominent role by taking over as Chanel's creative director. The brand, 10 years after Coco Chanel's death, was in a crisis when Lagerfeld came onboard. It was a role that not only brought Lagerfeld international fame but also helped Chanel regain its top position as an uber luxury label. In his close to four-decade-long helm of Chanel, the designer stayed true to the design sensibilities of founder Coco Chanel by incorporating the once-revolutionary silhouettes of the 1920s and 1930s and blending it with current, marketable elements, like the interlocked "CC" monograph. The brand released a statement on Facebook, stating that it "benefited from his talent for all the branding campaigns related to fashion since 1987". "Thanks to his creative genius, generosity and exceptional intuition, Karl Lagerfeld was ahead of his time, which widely contributed to the House of Chanel's success throughout the world. "Today, not only have I lost a friend, but we have all lost an extraordinary creative mind to whom I gave carte blanche in the early 1980s to reinvent the brand," Alain Wertheimer, CEO of Chanel, said. Bruno Pavlovsky, President of Fashion at Chanel, said Lagerfeld left his mark on the "legend of Gabrielle Chanel and the history of the House of Chanel". "The greatest tribute we can pay today is to continue to follow the path he traced by to quote Karl 'continuing to embrace the present and invent the future'," he added. The brand also announced that Virginie Viard, director of Chanel's Fashion Creation Studio, has been named Lagerfeld's successor. Viard has worked alongside the legendary designer for close to 30 years and was considered Lagerfeld's right hand woman at Chanel. The news of Lagerfeld's death left many in the fashion and cinema industry heartbroken. Fashion designer Victoria Beckham remembered him as a "kind and generous" soul. "So incredibly sad to hear this. Karl was a genius and always so kind and generous to me both personally and professionally," she tweeted. "'Evolution is the secret for the next step' - rest in peace, Karl Lagerfeld," her husband David Beckham added. Donatella Versace remembered Lagerfeld as a genius who touched many lives. "Karl your genius touched the lives of so many, especially Gianni and I. We will never forget your incredible talent and endless inspiration. We were always learning from you," she tweeted. Indian fashion designer Manish Malhotra said Lagerfeld's death marked an "end of an era"
Actor Diane Kruger, who often sported the designer's creations, said she was heartbroken to hear about his sudden death. "Karl... I cannot tell you how much you meant to me and how much I will miss you. I will never forget your kindness towards me, your laughs, your imagination. I came to France to see you this week and introduce you to my daughter...I'm heartbroken I was too late. Rest In Peace, I adore you," Kruger tweeted. The designer, who was fiercely guarded about his private life, had for the first time in more than three decades as the creative director of Chanel, had skipped the post show walk of the brand in Paris this January. He had cited "fatigue" as the reason behind his absence from the show. Lagerfeld's partnerships outside Chanel and Fendi included his collections for Diesel in 2002 and H&M in 2004. The celebrity favourite designer also created costumes for the numerous theatre productions like "La Scala" in Milan. He was behind creating the glamorous on-stage looks for various pop stars such as Madonna and Kylie Minogue. In addition to his creative duties, Lagerfeld also provided editorial work for print publications like V Magazine, Harper's Bazaar and various international editions of Vogue. While he was considered a visionary designer, Lagerfeld often courted controversy with his opinions about topics that ranged from religious appropriation to use of fur. He came under fire for commenting on the appearance of female celebrities like Heidi Klum, Pippa Middleton and Adele, whom he called "a little too fat" in 2012. More recently, in an explosive interview with French magazine Numero, Lagerfeld discussed topics such as body hair, diet and #MeToo.